E-cigarette brand The Vapes has had a trio of billboard ads banned by the Advertising Standards Authority, after the watchdog ruled their cartoon imagery could appeal to children. 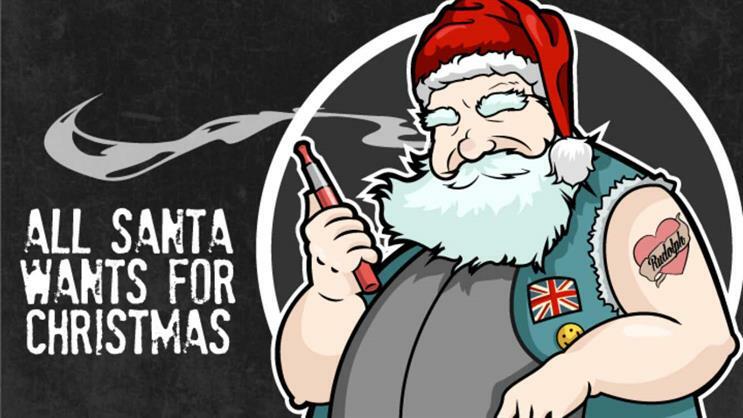 The three ads, seen in December, feature stylised drawings of Father Christmas, a gingerbread man and an elf using e-cigarettes, with the text "All Santa/he/elves want for Christmas". Three complaints suggested that the cartoony imagery of the ads was irresponsible because it could appeal to children. Brand owner Fischen Medical, said the visuals had been specifically designed not to look like traditional seasonal imagery, which it thought would be likely to resonate with under-18s – but instead were intended to provide an almost sinister twist on the festive season, which it believed would only gain recognition from adults. But the ASA said that regardless of the brand’s intention, the ads featured cartoons of well-known characters, drawn in a child-like style, which meant they were likely to appeal to people under 18. It ruled that they breached the CAP Code and said they must not appear again in their current form. Which ad received the most complaints in 2016?